RuiDa laser cutting engraving control system RDC6442G RDC644XG Core Technology Development System is the latest generation of laser engraving / cutting control system. The control system has better hardware stability, better resistance to high pressure, and static interference characteristics. 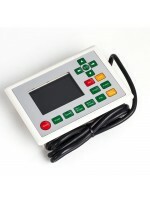 The 3.5-inch color screen based HMI operating system has a more powerful and user friendly interface. The controller includes better and more superior motion control functions with larger file storage, stronger compatibility, dual independently adjustable laser power control interface , stronger..
Industrial grade stepper motor, ideal for driving moderate loads in outdoor, wet and dusty conditions. 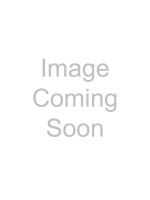 Has a holding torque of 19.3 kg.cm (189 N·cm or 268 oz·in). Front shaft only. Front shaft is round and 8 mm in diameter. 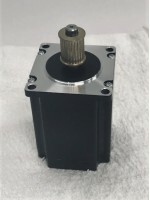 This frame motor is 57 mm square on the face, with four 5 mm diameter untapped holes. The mounting holes are 47.14 mm from centre to centre. 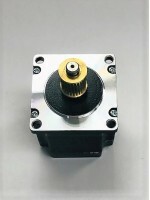 The motor is fitted with a 300 mm, four-core shielded cable. 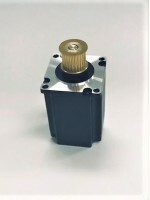 ..
3 phase 1.2 degree stepping angle 573S15-L 3 phase stepper motor gear pulley, 1.3NM, 1.2 degreee 5.8A. Holding toque of 0.9 N*m to 1.5 N*m (128 - 184 oz-in) High precision Smooth movement Low motor heating Low movement noise Angle Accuracy +5%(full step, no load) Temperature Rise 80°C Max Ambient Temperature -10°C -- +50°C Insulation Resistance 100MΩmin.500VDC ..
Stepper Motor, 200 Steps/Rev, 57×76mm, 4.5V, 2 A/Phase High-torgue hybrid stepping motor has a 1.8 degree angle (200 steps/revolution. Each phase draws 2A at 4.5V, allowing for a holding torgue of 14kg-cm (190 oz-in). Six color-coded wires terminated with bare leads that allow it to be controlled by both unipolar and bipolar stepper motor drivers. 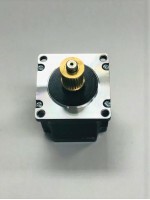 Size: 56.4 mm square × 76 mm, not including the shaft (NEMA 23) Weight: 1 kg (35 oz) Shaft diameter: 6.35 mm (0.25″) “D” Steps per revolution: 200 Current rating: 2&nb..
3 Phase Stepper Motor Pulley Rated Current: 4.0 (A) Rated Torque: 3.0 (NM) Rated Power: 10 - 20 (W) Rated Voltage: 24 - 48 (V) Rated Speed: 50 (RPM) ..